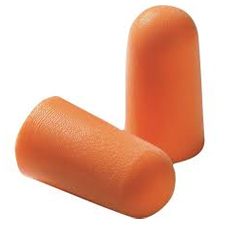 3M 1100 UF Foam Ear Plugs (NRR 29) (Case of 1000 Pairs)5Shooting Star Shotgun Sports, LLCNovember 11, 2014We use thousands a year. They are the best you can buy. 3M 1100 UF Foam Ear Plugs (NRR 29) (Case of 1000 Pairs)5MichelleSeptember 12, 2012Thank you, our order was fast and exactly what we ordered.